Former Kwara United coach, Samson Unuanel has promised that he won’t disappoint the management of Enyimba FC after he was selected to join the technical crew of the club. 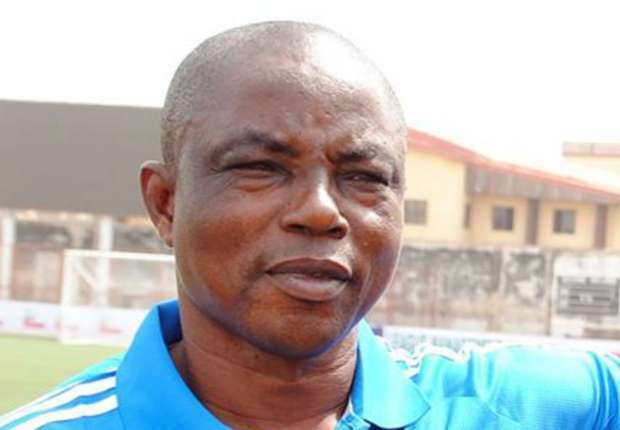 Unuanel was the former coach of Enyimba, Kwara United and Sunshine Stars where he was relieved of his managerial job for poor results in the Nigerian Premier League in the early part of 2016. He’s expected to work together with the team coach of the Aba Warriors, Paul Aigbogun who had a stuttering start in the CAF Champions League where the team lost 1-0 to Zamalek FC in Port Harcourt on Sunday. Unuanel told soccernet.com.ng via telephone chat on Tuesday that the team still has a bright chance of qualifying to the knockout stages of the continental football despite their 1-0 defeat. “The team played very well against Zamalek of Egypt and you also consider that the weather wasn’t friendly and the team had some element of hard luck. I am very sure that the team will qualify to the knockout stages of the CAF Champions League and there should be no cause for alarm,” Unuanel began. Despite the challenges in managing Enyimba international, Unuanel revealed that he won’t set targets but would be happy to make his contributions felt in the team. “As a coach, I don’t set target because some targets are not realistic in modern days football. However, I am here to make my presence felt in the team tactically and technically so as to make them better,” he said.